Celine Bryne as Magda, Leonardo Capalbo as Ruggero, and the Minnesota Opera Chorus in Minnesota Opera’s new production of La Rondine. Photo by Cory Weaver. There is a temptation that directors and designers face to re-encapsulate or reframe an old stage work for today’s audience. Sometimes it is about trying to highlight themes that have become buried in layers of tradition or changing mores. Other times it seems to be more of a desire to present one’s own stamp on a work, essentially solving problems that aren’t there. Such is the case with the framing device used in Minnesota Opera’s just-closed production of Puccini’s La Rondine. One of the time-tested assessments of reframing devices is whether or not the changes are distracting from the score, action, and plot. This is the case with the scenic design implemented by Sara Brown and presumably chosen by director Octavio Cardenas, which casts the otherwise magnificent mansion/hotel backdrop as a bombed-out ruin – somewhat distracting during the party scenes, to say the least. Periodically, a specter of the lead character wanders through the start of scenes, looking in on a memory stirred by a place. The intent, it seems, was to create a sense of looming tragedy perhaps akin to the backdrop when the opera premiered in Monaco in 1917, with World War I raging in the background. A closing image of a gravestone cements the vision. These interpolations seem designed to solve a problem different other than what actually exists: the century-old question of why La Rondine isn’t nearly as popular as Puccini’s other operas. In Skylark Opera’s production several years back, the directors tried to address this by reorganizing the opera, casting part of it as a dream. I tender the notion that La Rondine isn’t nearly as popular because Act I is static and entirely superfluous: yes, it has some pleasant music sung by Prunier (an excellent Christian Sanders), but cutting it out and starting with Act II loses nothing important from the plot. There are no dramatic stakes, and in the supertitles by Christopher Bergen that were used, the parallel lyrical devices between acts were almost entirely covered up. Celine Byrne as the dazzling Magda. Photo by Cory Weaver. It’s a rare production this opera that doesn’t struggle in the first act because so little happens. This is a problem that starts with the source material: Puccini was never satisfied with the score, and kept revising it until his death cut that project short. Some of the other efforts to “solve” the opera’s pacing issues without cutting material – a “cult of the composer” ideology that ignores the many revisions that composers continued to make to create the “final forms” of classic opera that we generally know today – have added things like Magda committing suicide at the end, which made the work perhaps more similar to Tosca than is desirable. 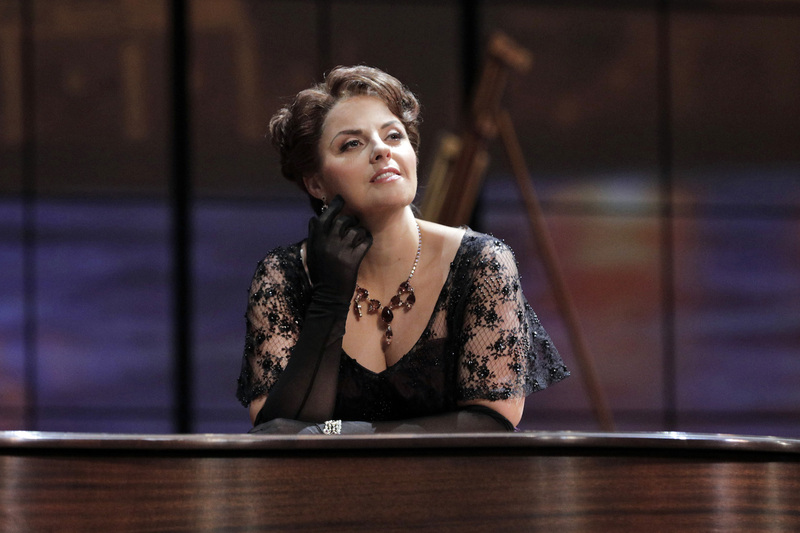 At any rate, Minnesota Opera’s production picks up immeasurably in pace and enjoyment once Act II begins and we find Magda (Irish soprano Celine Byrne, making her MN Opera debut) wandering the town. This being opera, the music takes on a special quality when the sparks start flying between Magda and Ruggero (Leonardo Capalbo). 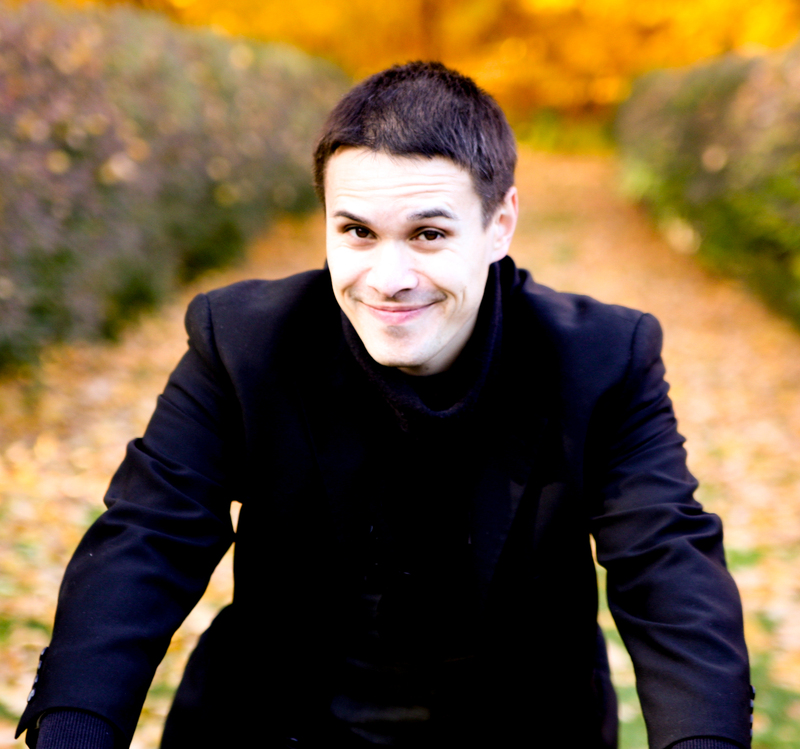 It’s been three years since Capalbo made his celebrated debut at the Ordway in L’elisir d’amore, and he has only gotten better in the intervening years. His performance mixes charisma, earnestness, a spumante tone like sparkling wine on the ear, and – as the romance collapses – a crushing tumble into romantic despair. Byrne and Ruggero’s finest musical moments in the production are in the tragic it’s-over duet “No! Non dir questo! Guarda il mio tormento!”, which had people in the audience visibly crying. Stepping back for the moment, let’s consider some of the other characters and actors in this drama. Baritone Levi Hernandez’s Rambaldo was velvet-voiced and smooth, the portrayal lacking some of the controlling edge and vilification seen in some stagings. Lisa Marie Rogali’s Lisette sang an engaging Lisette, with the alternate flirting and sparring with Sanders’ Prunier being a welcome piece of levity. Now, on to the leading soprano. Cracks start appearing in the romance between Magda (Celine Byrne) and Ruggero (Leonardo Capalbo). Photo by Cory Weaver. Celine Byrne has long been a well-known name on the other side of the Atlantic, and it’s easy to see why. Her voice is alternately lithe and rich, with lustrous floating notes in the glorious passages that Puccini wrote to depict Magda’s true happiness. As an actress, she is a compelling figure onstage, exhibiting that je ne sais quoi presence that clearly draws the other characters to Magda onstage, as well as an effervescent sprinkling of excitement and vulnerability when the character wanders around town at the start of Act II. La Rondine pivots on its titular soprano, and Byrne is simply delightful even as she breaks your (and Ruggero’s) heart in the dénouement. 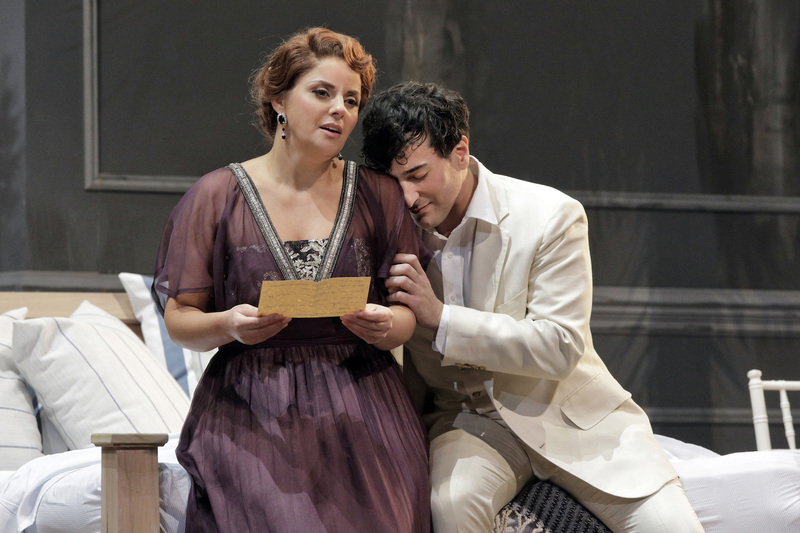 La Rondine is far from a perfect opera, with some major pacing problems and the entirely unnecessary framing and distracting interpolations of ghosts and projections. Acts II and III are worth waiting for, though, especially the opera’s climax – without a doubt, the music that makes people love this opera. The last several sequences hint at the balance Puccini achieved in La Bohème and testify to why so many people try and tinker with the rest to get others to love this opera as much as they do.